It boggles my mind when great brands make bad decisions that directly impact customer experiences. I recently encountered a situation that clearly demonstrates an example of Doing CX incorrectly. I share my story not to bad mouth a reputable online retail company, but rather to offer people an opportunity to learn from others’ mistakes. About a year ago, I became a member of Stitch Fix. I love the concept of having a personal shopper who sends me clothes and accessories based on my specific preferences. I enjoy receiving their quality items delivered to my home with the option to keep what I like and return what I do not without any penalty. Stitch Fix offers customers free shipping and free returns, which takes away any risk of trying the service. The one factor that I am not a fan of is their $20 styling fee per order. While Stitch Fix applies the $20 towards any purchase, there are plenty of times that I do not buy items in my package and therefore incur a cost with nothing to show for it. I started to second guess whether or not to continue my membership given the cost and lack of other price plan options, or so I thought. My friends and family members tried Stitch Fix having heard about the service from me and are now repeat purchasers. I am thrilled to have introduced them to Stitch Fix, yet I am surprised and disappointed with the company for the fact that my referrals are receiving benefits (i.e. no styling fee) that are better than what I get. When calling customer care to request the same offer, I was told “no” by the representative. I tried explaining the obvious to her. The company would not have received incremental revenue if it had not been for my recommendations and endorsements. I should not even have to ask for the best deal never mind “fight” for it. Since that conversation went nowhere, I contacted customer care another time in hopes that a different representative would empathize with my situation. Once again, my request was denied. She explained that it was not possible for me to get the same “no fee” plan, as their system identifies which customers get the new offer and all others have to wait. Her answer made me even angrier. From that point on, Stitch Fix lost me as a brand advocate. 1. Thank loyal customers by PROACTIVELY giving them the same benefits and offers as new customers, or even better for retention. Make them feel valued and appreciated so they will want to tell others and continue recommending. 2. Humanize experiences. Do not let internal computer systems and processes be the cause of customer dissatisfaction. 3. Optimize marketing campaigns. 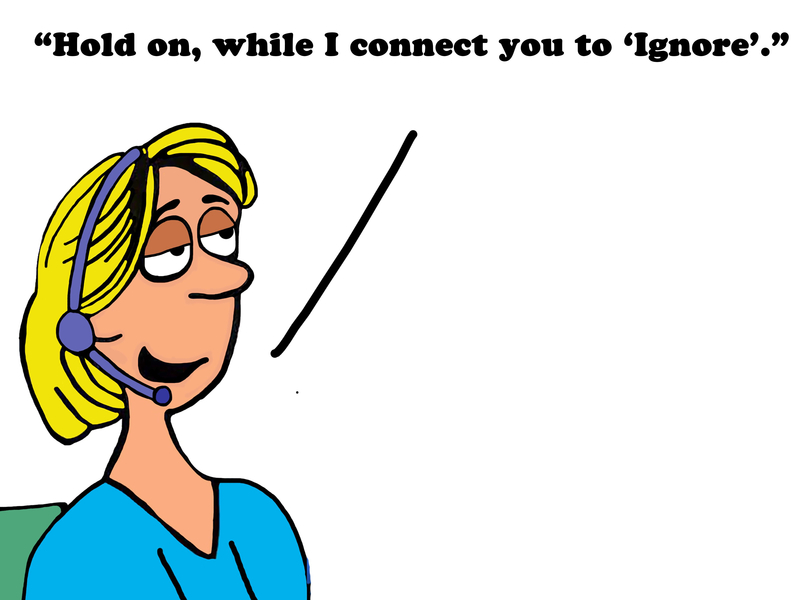 Pay attention to “Voice of Customer” (VOC) feedback from customer care calls, rep chat notes, social media, etc and use the valuable insight to drive improvements. 4. Empower company employees to rectify customer issues and pain points versus read from a standard script. A “Sorry, I can’t help you” response is not going to drive customer loyalty and referrals. Ever! 5. Focus on DoingCXRight. Best practices can’t be ignored. Sign up for our newsletter to continue learning how to increase your skills and transform your organization. Sign up for our newsletter to continue learning how to increase your skills and transform your organization! When you register now, you will get access to our whitepaper on how to go from CX Novice to CX Expert.